How can I get recipes for paid course? If you have paid for online participation, you could download recipes a few days before the broadcast. Can I ask questions during online broadcasting of the course? Yes, you can ask questions to the chef in the chat. How many times can I watch a video record of the paid course? To watch a video record after a full course you may as many times as you wish. No limits. Do I need to be in front of the screen during online broadcast? No, you could watch the course in the record. Where can I watch a record of the paid course? You could watch the course record in your personal account. What's the quality of the record? Two camcorders are filming in professional HD quality. Is it possible to buy the passed courses? Passed courses are available in the record and you could purchase them. Do I get certificate after the course? Yes, after the course all participants will receive electronic certificate signed by chef. How can I find out about upcoming courses? You could subscribe on our website or subscribe to our groups in social networks - Instagram and Facebook. Our courses are translated from French to English and Russian languages. 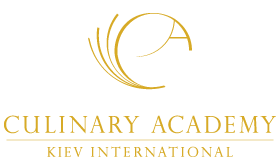 How to register for participation inside Academy? Steps necessary to register for the course: 1. Choose "Register" at the top right corner. 2. Fill in the required fields 3. You will receive confirmation of your successful registration to your mail. To subscribe to our newsletter please, send to [email protected] your full name and email with the name of letter "KICA newsletter". To change your password please, choose "Lost your password?". Enter username or email address. And you will receive a link to create a new password via email. You may change account name in your personal account, using tab "Settings". How to buy your online courses? To buy one of the courses, please follow next steps: 1. Press Register or Login and fill in the required fields 3. On the page "All courses" choose course you like 4. Press "Buy this course" 5. After successful payment the course will be available in your private account. 6. If the course is planned, content will appear a few days before the start. How to get certificate for the course? To get certificate please, send to email [email protected] request with your full name and the name of the course for which you would like to get a certificate.